Now that you can install Cydia tweaks on rootlessJB, it’s time to download your favorite tweaks. Download the complete Cydia tweak compatibility list for iOS 12 below. Which tweaks are compatible with rootlessJB? 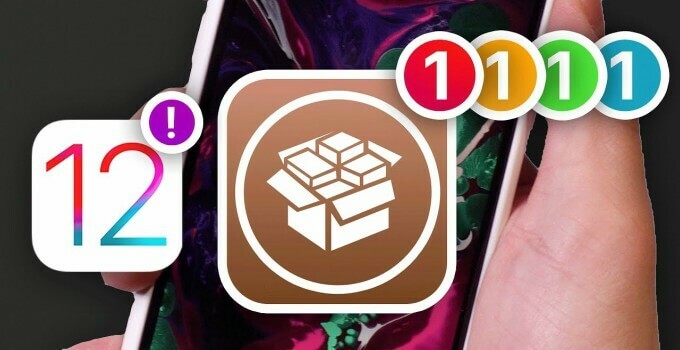 rootlessJB, an iOS 12 jailbreak toolkit for developers, brings tweak injection support for iOS 12.1.2 and below versions. Almost all of the classic Cydia tweaks are fully functional on rootlessJB, in spite of its numerous incapacities and limitations. Preference Loader (Settings section), which was initially believed to be dysfunctional, is working just fine on all compatible iOS versions. Here’s a video demonstration of how tweak injection works on iOS 12 by tweak developer Sammy Guichelaar. With that being said, iOS 12 is a tough nut to crack, at least at the moment. You will have to jump through a lot of hoops just to install your tweaks on iOS 12-12.1.2. Firstly, you can’t patch Debian packages if you don’t have a Mac. Secondly, working with Terminal prompts and patcher is not for the faint of heart. If you are inexperienced or don’t own a Mac, we highly recommend waiting for a stable package manager like Cydia. Compatible – Compatible section contains the tweaks that are fully compatible with iOS 12. You may experience a bug here and there, but, by and large, they will help make your jailbreaking experience as smooth as silk. Partially Compatible – Partially compatible section contains the tweaks that have major bugs and glitches but are compatible with iOS 12. Incompatible – Incompatible section contains the tweaks that are not compatible with iOS 12 or rootlessJB. Refrain from downloading these packages as they may cause major issues with your iPhone or iPad. We have tried to add as many iOS 12 jailbreak tweaks as possible to this list. However, we can’t test all of them, nor can we find the download links for each one of them. You can contribute to this list by testing out tweaks on your device. Just let us know which tweaks are working and which are not along with your device and firmware version. If you feel like some tweaks are missing from this list, just leave a comment below and we will get the download link up asap. I don’t think it’s compatible with iOS 12. Ok thanks but i did find out a merhod to import music drom filza….!!! Thanks for the reply and its compatible …!!! I used it using uncover(cydia!!!!! Peace!! unc0ver has been updated for A7/A8 here. How can I install Fluidity? You can now get these tweaks straight from Cydia. How can I add all these tweaks to Cydia ????? Because some of them are not in Cydia?? You can now use unc0ver that comes with Cydia support. WHERE is the locationfaker ????? It’s not working as of now. Is there any way you can get tetherme to be compatible? No, you can’t get it on iOS 12. Noctis 12 does not have a link? It’s a paid tweak so we can’t put its download link publicly. Thanks, the list will be updated shortly. Hi Gian, PokeCall doesnt work. What can i do? Thanks for the heads up, Bradley. I will update the link. How do we install neptune? You will have to download its tweak files (plist and dylib) and transfer them to the appropriate locations in your filesystem. LittleX is the better tweak, of course. Is any of the in app purchase tweaks working for it? I have updated the link for InApp. Check it out. Any version of appsync which is working? No, AppSync is not yet compatible with any version of iOS 12. What about super recorder and appsync? None of those tweaks are working right now. Hi seems like the link for Colorbadges is not working anymore, can you reup or fix the link please! All of the above aren’t added in the capability list. Thanks, Syed. They will be added shortly. HomeGesture Lite is already compatible, so try using that. No, CarBridge is not working yet on iOS 12.
how can uninstall some installed tweaks? You will have to remove the folders you transferred earlier in Filza. Unfortunately, none of them are compatible with iOS 12.
iBlacklist is not compatible from what I gather. The link for BatteryPercentX can not be downloaded, as it shows it’s compatible with IOS 11 and “your device is not compatible”. Thanks, Ron. I will update the link. Thanks, Robert. I will add it to the list. I need iblacklist , how to get deb link? I will add a link in a minute, Alireza. Hi i couldn’t find that . is it possible to help me how to find it ? Hey How can I install themes on SnowBoard ? I will upload a new theming tutorial as soon as possible. No, these tweaks are not patched. You must patch them by yourself using PatcherPlus. You need to add the folder to the Library folder. Thanks, Ali. I will update the list shortly. Noctis12 is available only on LuaghingQuoll’s Patreon.